A loan of $300 helped to purchase raw materials to make additional furniture. Tarcila T. is from the village of Allinguigan 3rd. She is 40 years old, married, and has four school-aged children. To make a living, Tarcila owns and operates a furniture-making business making and selling general household furniture to local businesses and community members. Tarcila has been engaged in her business for over two years and earns approximately 6,000 PHP per month from these activities. In 2009, Tarcila joined Kiva partner, ASKI, to gain access to financial services to help improve her living situation and ability to engage in business activities. She has successfully repaid a previous loan of 10,000 PHP from ASKI. This loan was used to purchase additional products to sell. Tarcila is requesting a new loan of 13,000 PHP, which will be used to purchase raw materials to make additional furniture. This loan will be her fourth from ASKI. She plans to use the additional revenue generated from the business to improve and expand her business. ASKI is one of the most successful microfinance institutions in the Philippines. It has 29 branches covering the Central and Northeastern areas. Its clients are mostly farmers, fisherfolk and small entrepreneurs. *Note: To maximize efficiency and reduce costs, this loan was posted using a template to automate the translation by Kiva. Given that manual translation of entrepreneur profiles is costly, Kiva created this template for our Field Partner to allow them to continue to post loans in English while providing quality and accurate information to Kiva lenders. This loan is made possible by Alalay sa Kaunlaran, Inc. (ASKI), which means “a partner in development.” ASKI has been in operation for 25 years and runs multiple successful initiatives in addition to microlending. Its main microfinance branch focuses on lending to microentrepreneurs, small farmers, and fisher folk. ASKI also provides microinsurance and marketing support for borrowers, as well as educational programs to develop the skills of both borrowers and staff. The ASKI Foundation funds community development projects such as a daycare feeding program and scholarships for children. ASKI Global helps overseas Filipinos develop entrepreneurial and financial skills to maximize the impact of remittances. ASKI’s motto is “Together, let’s make things happen!” Join ASKI's Kiva Lending Team or view its website. Kiva works with ASKI because it reaches clients who have no formal credit history and no savings accounts. Many of ASKI’s clients live in poverty, and some live in extreme poverty because they have no access to formal financial services. 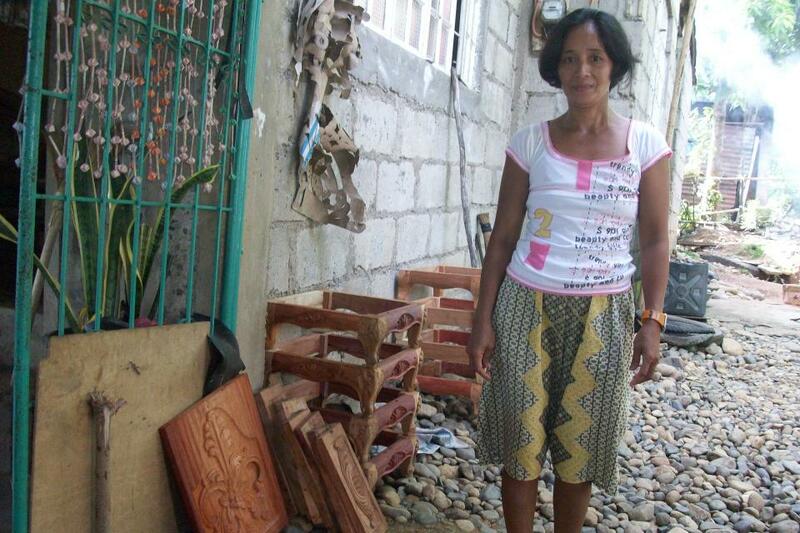 By lending through ASKI, Kiva lenders can help change this picture for marginalized communities in the Philippines.